Blair is a social media manager and editor for Maine Magazine. In addition to being a journalist, she is a writer, trained actress, and dancer. 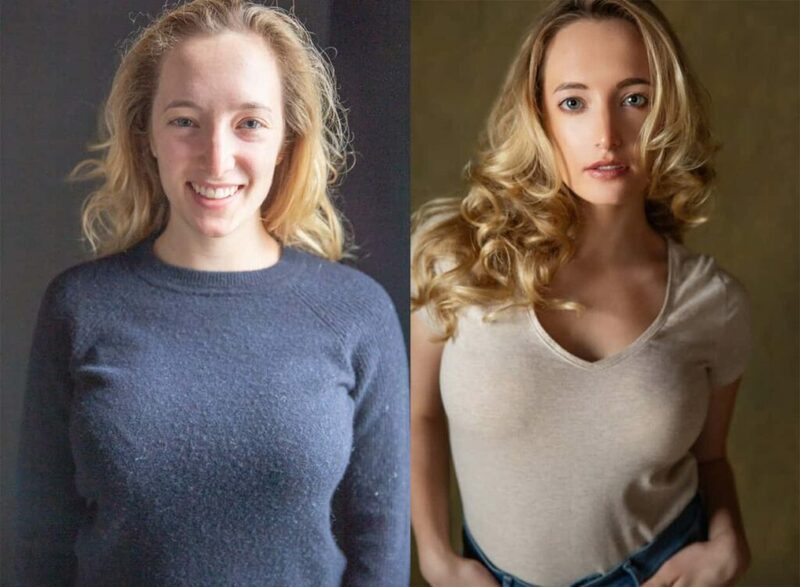 She contacted me because she wanted to update her headshots with a variety of looks that she could use on casting calls, interviews, by-lines, and overall personal branding. For this job, we collaborated with Amanda’s Trademark Hair and Makeup to make sure that Blair looked her best and SP Films to help us capture some behind the scenes clips that we edited into this short segment. While the outfits that we use in a Personal Branding session are slightly more casual than what is typically worn in a Glamour session, the process is still the same. We shot a combination of natural light and studio light portraits over the course of about 4 hours, changing outfits often, and laughing constantly. When folks think of Personal Branding, they think “Corporate Headshot” and while there *can* be some overlap, Personal Branding is all about showing YOUR personality – the way you want the world to see you. It can be as formal or informal as you want it to be. Blair was incredible to work with, and I think you’ll agree that the shots she chose below really give you a sense of who she is. If you’re looking to refresh your online presence, or need some new images for your brand, let us help. All you have to do it get in touch.